Corca Adaimh, Corca Raidhe, Mhuintir Bháire, Finnavara, Dunsandle and others (historical). The Ó Dálaigh (Irish pronunciation: [oː ˈdˠaːɫ̪i]) were a learned Irish bardic family who first came to prominence early in the 12th century, when Cú Connacht Ó Dálaigh was described as "The first Ollamh of poetry in all Ireland" (ollamh is the title given to university professors in Modern Irish). "Harp of Cnoc I'Chosgair, you who bring sleep to eyes long sleepless; sweet subtle, plangent, glad, cooling grave. Excellent instrument with smooth gentle curve, trilling under red fingers, musician that has charmed us, red, lion-like of full melody. You who lure the bird from the flock, you who refresh the mind, brown spotted one of sweet words, ardent, wondrous, passionate." Gofraidh Fionn Ó Dálaigh. The modern Irish surnames O'Daly, Daly, Daley, Daily, Dailey and Dawley are derived from Ó Dálaigh. The name Ó Dálaigh means 'descendant of Dálach'. The derivation of the personal name Dálach is not entirely obvious, but the most widely accepted theory is that it derives from the same root as dáil meaning "assembly;" the Irish Parliament is called 'Dáil Éireann.' Dálach therefore probably meant "assemblyman" or "councillor". The earliest records of the family place them in the region of Tethba in what is now Westmeath, their lands were in Moyashel & Magheradernon barony, Westmeath. The ancestral clan was called Corca Adaimh ('Race of Adam') and they claimed descent from a son of Niall of the Nine Hostages (High King of Ireland circa 400AD) via Máel Dúin mac Máele Fithrich of the Cenél maic Ercae, who was king of Ailech in Ulster. Máel Dúin's sons included the high king Fergal mac Máele Dúin and Adamh, the Ó Dálaigh ancestor. However, one source claims that Adamh was a son of, confusingly, another Máel Dúin the son of Fergal mac Máele Dúin. The great-grandson of Adamh was called Dálach, from whom the later surname derived. The Ó Dálaigh claimed kinship with the O'Neills and O'Donnells. Gofraidh Fionn Ó Dálaigh asserted a descent for the family from a 6th-century Dálach, who was the pupil of the saint and poet Colmán the patron of the cathedral town of Cloyne. Dalach is said to have become a bishop of the early Irish Church. The Ó Dálaigh who settled in Munster seem to have been given an alternative descent from the Eóganacht kings of Cashel, in particular from Aenghus the king of Cashel who was baptised by St. Patrick. However, this pedigree is less well attested than that deriving from Niall and there is no clear indication that the Munster branch of the Ó Dálaigh were considered to have had separate origins from the others. It may merely represent an attempt to integrate the bardic family with the local dynasties they served. Many of the Ó Dálaigh were scattered across Ireland due to the Norman invasions, which began around 1172, leading to wide resettlements of the Ó Dálaigh across Ireland. The earliest of these new branches of the family were in counties Cork, Roscommon, Clare and Sligo. The Ó Dálaigh continued to achieve prominence in society in their new homelands, becoming poets to various royal courts across Ireland and ruling as minor chiefs over lands outside of Westmeath. "The chiefs of high Corca Adhamh, O'Dalaigh of lasting renown". Many of the Ó Dálaigh were hereditary poets to the various Irish royal courts and a number of them held the post of Ard Ollamh (Chief Poet of Ireland). One example is the Ó Dálaigh of Strokestown, Co. Roscommon, who were poets to the royal court of the Ó Conchobhair, kings of Connacht. The Ard Ollamh ranked with the High King of Ireland in the social hierarchy, and maintained his own court. More than one member of the Ó Dálaigh family held both this post and the post of Chief Ollamh of Scotland. The chief poet of the family was known as "The Ó Dálaigh" in the same manner that the Prince of Thomond was called "The O'Brien". Members of the clan founded bardic schools throughout Ireland, and also in Scotland. The noble bards of Ireland were accorded great prestige and were accounted filid or "men of skill"; in social rank they were placed below kings but above all others. The Ó Dálaigh were the foremost practitioners of the exacting and difficult poetry form known as Dán Díreach throughout the Late Medieval period. Part of the prestige that attached to the Irish bardic ollamh was derived from fear; a leader satirised in a glam dicenn (satire-poem), by a very able poet, could find his social position badly undermined. Very talented poets were also believed to possess the power to raise boils on the face of the target of their satires or inflict other bodily harm (early Irish society placed great store on the physical appearance of leaders). Conversely, the praise of a skilled poet was very greatly valued as it enhanced social and political prestige. In addition to their poetry the senior members of the Ó Dálaigh sept were also chieftains, their lands included the minor 'kingdom' of Corca Raidhe (Corcaree) in Meath and Mhuintir Bháire in Cork. Royal courts would often grant lands to their bards, and many townlands such as Ballydaly, near Strokestown, Co. Roscommon, commemorate this in their names. In theory the lands of Irish poets were held sacrosanct and could not be despoiled during warfare or raiding. Other members of the family were ecclesiastics: monks, abbots and bishops; they often combined their church roles with the production of religious poetry. The Irish bardic poet was often intimately involved in dynastic politics and warfare, a number of the Ó Dálaigh died violent deaths, or caused the violent deaths of others; the murderous, axe-wielding crusader Muireadhach Albanach Ó Dálaigh is the archetype of the warlike Irish poet. Cú Connacht Ó Dálaigh, also called Cuchonnacht na Sgoile ('of the [bardic] school'), "The first ollamh of poetry in all Ireland". He died at the monastery of Clonard, Meath, in 1139. His is the earliest recorded use of the name Ó Dálaigh. Ragnall Ua Dálaigh, died 1161. Gilla na Trínóite Ua Dálaigh, chief poet of the Kingdom of Desmond in Munster, was killed by the son of Cormac Mac Carthaig in 1166. Tadhg Ua Dálaigh, Chief Ollamh of Ireland and Scotland, died 1181. Máel Íosa Ua Dálaigh, died 1185, was described as "Chief poet of Ireland and Scotland", he was also lord (ard taoiseach) of the minor midland kingdom of Corca Raidhe. The annals state that in 1185, Maelisa O'Daly, ollave (chief poet) of Ireland and Scotland, Lord of Corcaree and Corca-Adain, a man illustrious for his poetry, hospitality, and nobility, died while on a pilgrimage at Clonard. Muireadhach Albanach Ó Dálaigh, fl. 1213–1220. Brother of Donnchadh Mór, he had to flee Ireland after killing an insolent royal steward (of the lord of Tír Conaill) called Fionn O'Brollaghan with an axe. 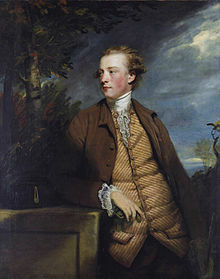 He reputedly founded a Scottish branch of the family, Clann MacMhuirich. From the evidence of his poems he took part in the Fifth Crusade. Donnchadh Mór Ó Dálaigh. In recording his death, in 1244, the Annals of the Four Masters describes him as "a poet who never was and never will be surpassed". He has been called the 'Irish Ovid', for the smoothness of his verse. He was probably the abbot of the monastery of Boyle in Roscommon and wrote many religious poems. At Finnyvara, in County Clare, a monument exists to Donnchadh Mór near the site of the Ó'Dálaigh bardic school. His poems indicate that he was born in Meath. "Cerball O'Dalaigh the Yellow rested in Christ." Annal of 1246. "Tadhg Ua Dalaigh (namely, son of Cerball the Tawny), in our opinion, a good master in poetry, rested in Christ. "Annal of 1271. "Gilla-Isu O'Dalaigh, professor of poetry, rested in Christ." Annal of 1307. Lughaidh (Louis) Ó Dálaigh, died 1337, Bishop of Clonmacnoise. Aonghus Ruadh Ó Dálaigh of Meath, fl. 1325. Reputedly his satire-poems on a fellow chieftain were so scathing that his victim emigrated from the Irish midlands to Clare in Munster to escape them. "Aengus Ua Dalaigh the Red (namely; son of Donnchadh, son of Aengus, son of Donnchadh Mor), a sage without defect, died." Annal of 1347. Tadhg Camchosach Ó Dálaigh, fl. 1375 Moved to the Continent and became a Franciscan friar. Gofraidh Fionn Ó Dálaigh of Cork, d. 1387. Chief Ollamh of Ireland. In 1351 a convention of poets and men of learning was held by Uilliam Buide Ó Ceallaigh (the Nodlaig na Garma); this occasion was commemorated in Gofraidh Fionn Ó Dálaigh's poem Filidh Éireann go haointeach. Cearbhall mac Lochlainn Ó Dálaigh, d. 1405, Chief Ollamh of Ireland in poetry, died in Corca Mruadh (County Clare). "The Saxons came into Ireland this year, namely, Lord Furnival. And he despoiled many of the poets of Ireland, to wit, Ua Dalaigh of Meath and Aedh Mac Craith junior and Dubthach Mac Eochadha and Maurice Ua Dalaigh." Annal of 1415. Tadhg Ó Dalaigh, Bishop of Achonry, 1436–1442. Appointed 3 September 1436; died in Rome before 15 October 1442; also known as Thaddaeus and Nicholas O'Daly. 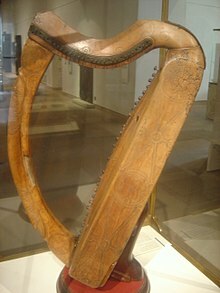 Ruaidrí mac Donnchad Ó Dálaigh, a celebrated harpist, died 1469. "O'Daly of Meath, i.e. Carbry, died." Annal of 1474. Seaán Ó Dálaigh, Bishop of Clonmacnoise, 1444–1487. "O'Daly of Breifny, i.e. John, the son of William, who was son of Hugh, a learned poet ... died." Annal of 1490. "O'Daly of Corcomroe (Teige, the son of Donough, son of Teige, son of Carroll), a professor of poetry, who kept a house of general hospitality, died at Finaigh-Bheara [Finnyvara], and was buried in the abbey of Corcomroe." Annal of 1514. Aonghus Fionn Ó Dálaigh (known as "The Pious"), fl. 1520–1570, prob. born Co. Meath; head of the branch of the Ó Dálaigh family who were poets to the MacCarthys of Desmond. His poem to the Blessed Virgin, Grian na Maighdean Máthair Dé (Sun of All Maidens is the Mother of God) is extant. Aonghus Ruadh na nAor Ó Dálaigh, 1550–1617. He was employed by Sir George Carew and Mountjoy to lampoon the Irish chieftains and instigate enmity between them. The hostile reaction to his satire "The Tribes of Ireland" led to his assassination. Cearbhall Óg Ó Dálaigh of Ossory, fl. 1620. Composer of many dánta grádha love poems and the celebrated song Eileanóir a Rún (Eleanor my Darling/Love), also known as 'Eileen Aroon'. Dominic Ó Dálaigh, 1596–1662 (also known as Daniel O'Daly), born in Kerry, a cousin to Diarmuid Mac Taidhg. Instead of following the bardic profession he entered Dominican Order in Galicia as Dominic de Rosario. He was Rector of the University of Louvain and established an Irish College of Dominicans in Lisbon. Dominic Ó Dálaigh later acted as advisor to the Queen of Portugal and Portuguese envoy to Louis XIV. He was Bishop elect of Coimbra and president of the privy council of Portugal. His works include Initium, incrementa et exitus familiae Geraldinorum Desmoniae comitum (The Geraldines, Earls of Desmond), published in Lisbon in 1655; Dominic was a descendant of the Geraldines on his mother's side. Lochlann Óg Ó Dálaigh, fl. ca. 1610. He wrote poetry lamenting the eclipse of the native society and culture of Ireland. "Cait ar ghabhader Gaoidhil"; "Where have the Gaels gone?" he asked, and answered himself thus: "In their place we have a proud impure swarm of foreigners". The end of the prominence of the Gaelic-speaking nobility of Ireland, epitomised by the Flight of the Earls, in the early 17th century meant the social eclipse of those bardic families, such as the Ó Dálaigh, that depended on their patronage. The name Ó Dálaigh also changed, becoming anglicised to Daly, O'Daly, Dayley, Daley, Dailey or Dawley. With the loss of land in the wake of rebellions against English rule and in the Plantations of Ireland, most branches of the Ó Dálaigh became, to a greater or lesser extent, impoverished. An example of this is the fate of the Dalys of Mhuintir Bháire (the Sheep's Head Peninsula, Cork), relatives and descendants of Aonghus Ruadh Ó Dálaigh (Aonghus Ruadh na nAor); they lost the last of their land in the aftermath of the fall of James II, and were reduced to the state of struggling tenant farmers. One prominent exception to this trend was the Daly family of Dunsandle, which became part of the Protestant Ascendancy though its members often espoused the extension of Catholic rights. Generations of this family served as mayors of, and MPs for, Galway, they were also raised to the peerage as Barons of Dunsandle. The Dunsandle Dalys claimed descent from Donnchadh Mór Ó Dálaigh and incorporated the Red Hand of Ulster into their coat of arms to record their ancient Uí Néill connections. Ultimately, the Dalys of Dunsandle retained their wealth and political prominence, but at the cost of losing the faith and culture their ancestors long upheld. A member of the above-mentioned line, Denis St. George Daly, won a gold medal for men's polo at the 1900 Summer Olympics in Paris. ^ Eógan mac Néill is the most widely attested as being the ancestor of the Ó Dálaigh, who are therefore of the Cenél nEógain branch of the Northern Uí Néill. However, the family are sometimes placed in the Uí Maine (Southern Uí Néill, not the Uí Maine of Connacht) and thus descended from Maine of Tethba whose existence as a son of Niall of the Nine Hostages is somewhat doubtful (see Clan Ó Duibhgeannáin). It may be that the Ó Dálaigh were given this derivation because their lands were in the region of Tethba (Teffia). ^ "Ó Dálaigh's Ancestral Homes" (PDF). ^ The Topographical Poems of John O'Dubhagain and Giolla Na Naomh O'Huidhrin, edited by John O'Donovan (1862) Dublin. ^ Annals of the Four Masters the original: Maoil Iosa Ua Dálaigh ollamh Ereann, & Alban ard taoiseach Corca Raidhe & Corcadain, Saoi oirdherc ar dhán, ar eneach, & ar uaisle do écc i c-Cluain Ioraird oca oilithre. ^ Annals of Ulster, U1271.8. ^ Annals of Ulster, U1307.14. ^ Annals of the Four Masters, M1474.22. Connellan, T. (Ed.) (1860) The Proceedings of the Great Bardic Institution. Dublin. Daly, Edmund E. (1937). History of the O'Dalys; the story of the ancient Irish sept; the race of Dalach of Corca Adaimh. New Haven, Conn.: Tuttle, Morehouse and Taylor. p. 479. OCLC 4286380. . This page was last edited on 21 December 2018, at 10:43 (UTC).